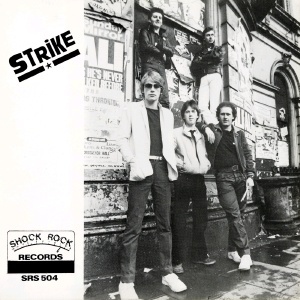 Strike, left-to-right: Mark Nixon, Noel Rafferty, Paul Kenny, Davey Johnston, Laurence Sprott. Punk/powerpop band from Belfast. They played the Dandelion Market twice in 1980 (or was that a different Strike? ), on Sunday 27 January and Sunday 16 March. 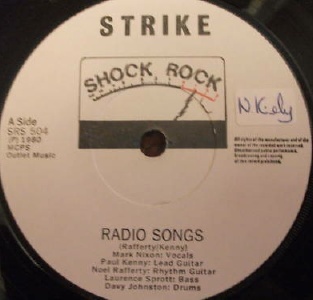 Strike recorded many demos thanks to Noel Rafferty's job in a recording studio and released an excellent single on the Shock Rock label which is well worth tracking down. 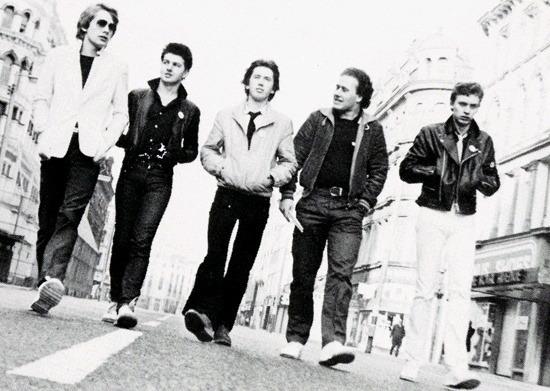 They tourned the nothern circuit and supported the Boomtown Rats at the Ulster Hall in Belfast. 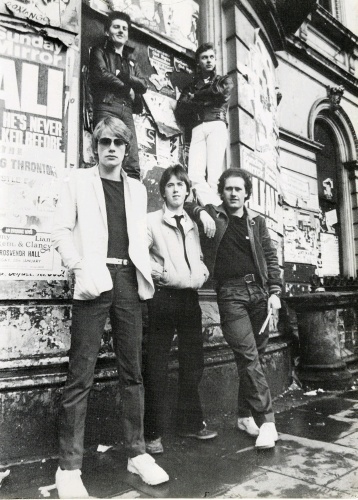 A&M Records liked the band's demos and were keen to sign them but internal wrangles led to the departure of Mark Nixon and Davy Johnston and A&M lost interest. The demos are now presumed lost. The band recruited new members Lesley Whitten (female vocalist) and Steven Drake (drums). 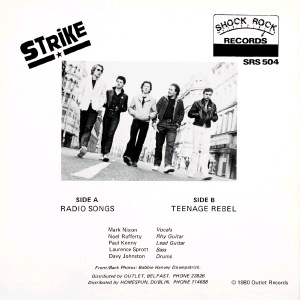 This lineup recorded inferior versions of the 45 tracks for the Belfast compilation LP. Mark Nixon continued as a solo artist from 1983-1995 and was also in Dublin-based band Act of Love. One of his songs "Loving You (Is Killing Me)" was used in Ken Loach's film "Riff Raff" (1991) playing on a radio in the background. It's not listed in the credits because it's inclusion was a last minute decision. He currently has his own photographers studio in Dublin.